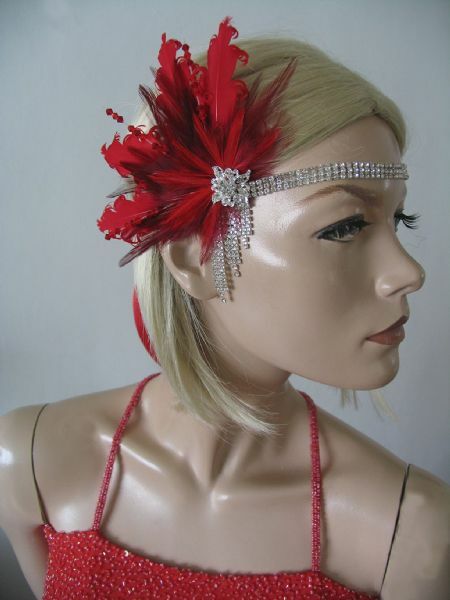 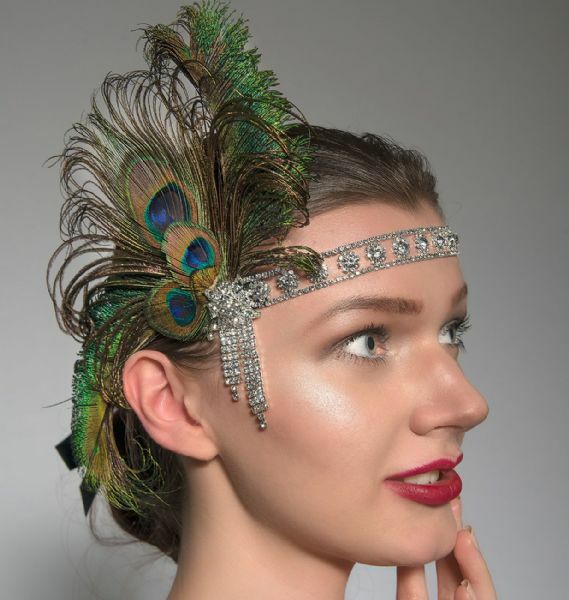 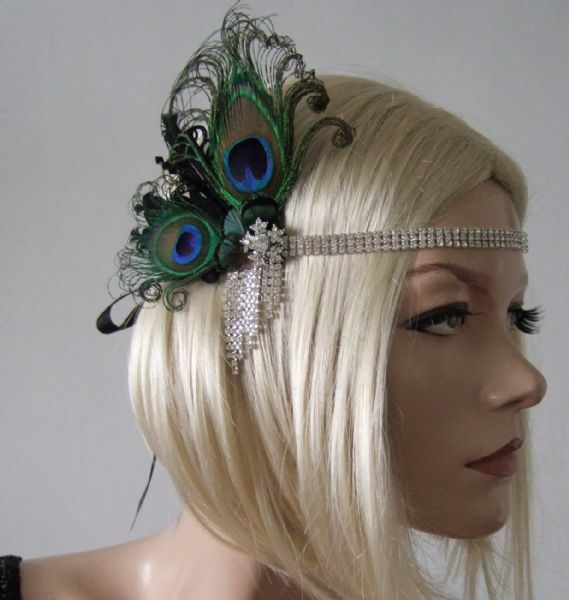 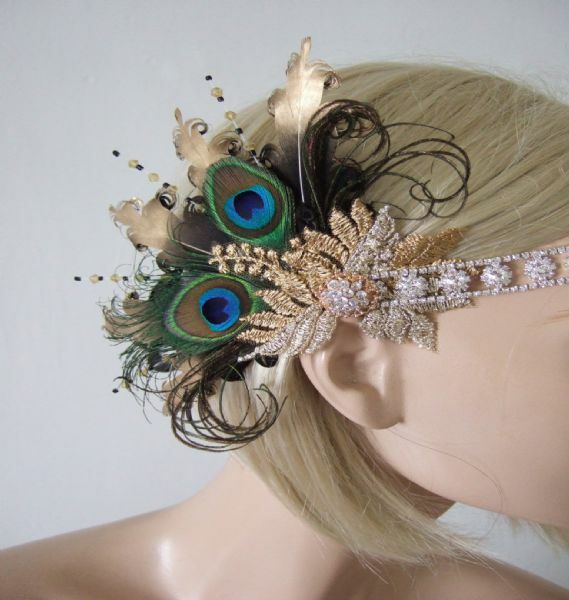 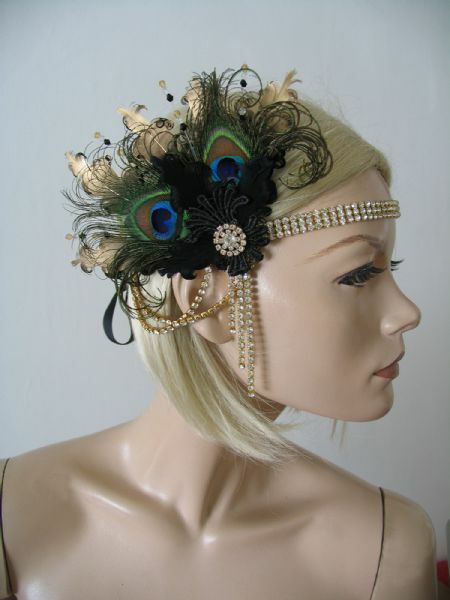 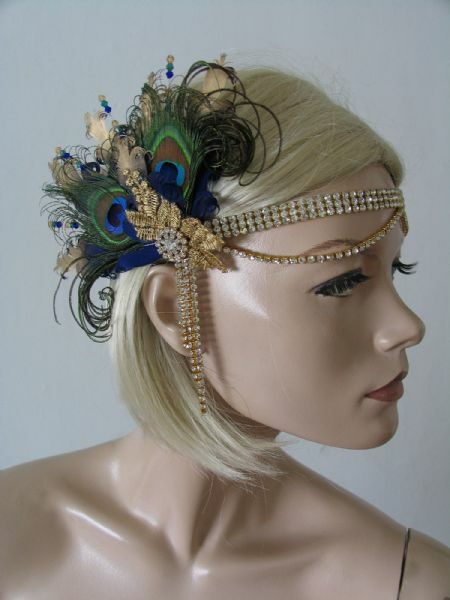 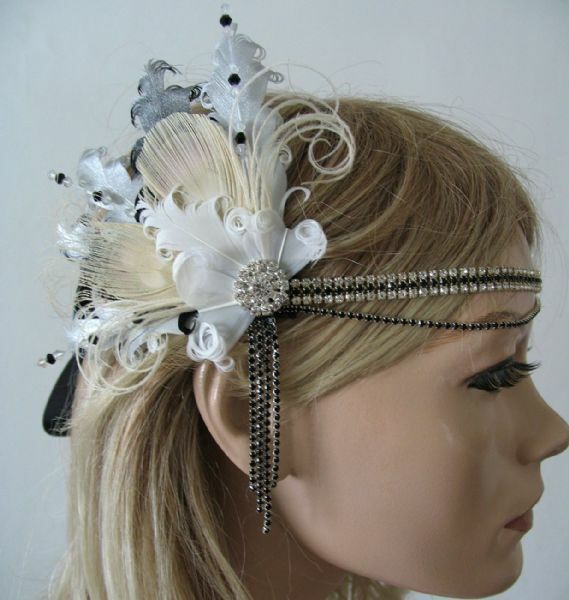 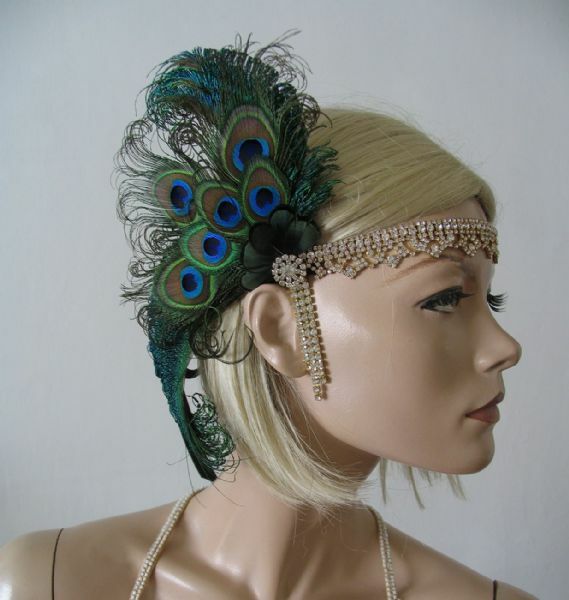 Vintage Style 1920's Art Deco Gatsby Flapper Headbands with Feathers, Swarovski Crystals, Rhinestones and Beads. 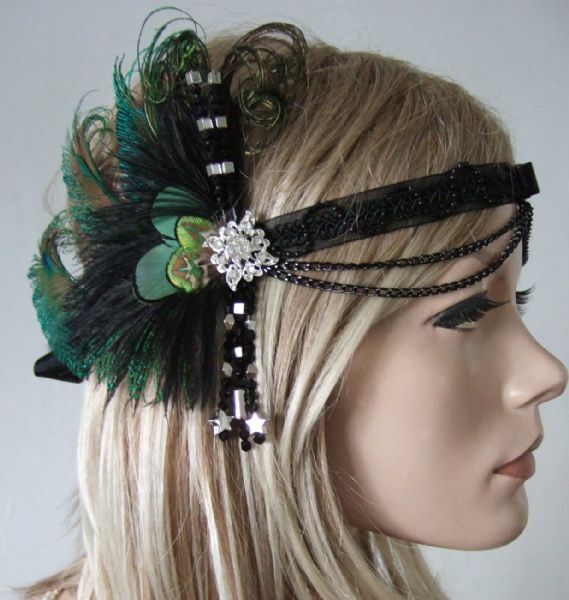 Downton Abbey, Absinthe Fairy themed. 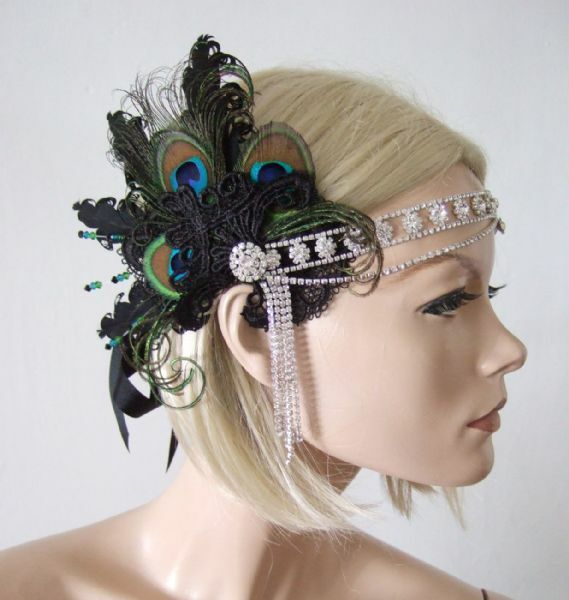 Black Peacock Feathers Crystal Headband Headpiece 1920's Art Deco Gatsby Flapper "Era"
Black Peacock Goose Feathers Crystal Headband 1920's Art Deco Gatsby Flapper "Cally"